We are able to supply Acrylic Wall Hanger with the vast support of our team. We have been able to offer our clients a qualitative range of Acrylic Wall Hanger. Being quality-centric entity, our firm is involved in providing the first-rate series Acrylic Wall Hanger. We assure our customers the prompt delivery of this product at nominal costs. Our company is able to supply Acrylic Wall Hanger at reasonable price. With the valuable assistance of skilled team of professionals, we are engaged in offering an extensive range of high-quality Acrylic Show Piece. Our Heavyweight Hangers are specially designed to hold oversized garments, robes, coats or jeans. With an astounding 73 grams of plastic in each one, thesehangers are well-suited for heavy-duty use. A hook is the perfect place for hanging belts, sashes, ties and scarves. We are offering to our clients Acrylic Hanger. With the proficiency of this field, we are accomplished to present an extensive series of Acrylic Plastic Wall Hanger. In addition, we present these products in diverse sizes and designs. 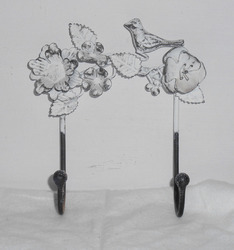 We are providing to our customers Acrylic Hanger. - For hanging cloths, towel, etc. Being one of the trusted firms in the industry, we are highly engaged in providing a unique range of Acrylic Wall Hanger. 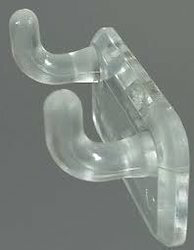 We are providing to our customers Acrylic Hanger as per their requirement.